Slot games are among the most unpredictable and extreme forms of gambling, with huge wins possible off small bets - and the possibility of big losses in a short space of time. Powered by random number generators, every single spin is unique and there are thousands of possibilities in each one, so it really does come down to the player’s luck. Regardless of the risks, those huge jackpots on offer make slots a very appealing form of gambling indeed. Every slots player hopes they can hit that big prize. It would be great to find a foolproof way to improve your chances of winning, but sadly there are no guarantees in gambling, and every bet is a risk. However, there are ways you can adapt your slot play to make the reels work a little better for you. You might be able to raise your chances of winning, and you can certainly reduce your overall losses, by playing smart and selecting the right slot games for your own play style. Most moden slot games give players two options for adjusting their bet: the coin size and the active paylines. It can be tempting for a new player to drop the number of win lines, and raise the coin size instead, so any wins are bigger. However, the more lines are active, the better the chances of a win - including the possibility of multiple wins across a number of lines. Always use the maximum number of lines, and reduce the coin size according to your budget, to maximize the chance of each spin being a winner. See all the slot casinos here. Sticking to a limit can also help. It doesn’t matter how lucky you are, if you put all your winnings straight back into the machine again! Chasing losses rarely works out well, either. Instead, set an amount you are willing to spend, customize bets according to that limit, and change the game or end the session if the reels aren’t working out for you. Some slot games give you lots of opportunities to win, but you will only pick up small amounts each time. Others have huge jackpot prizes, but you will be spinning for a long time to hit them. The level of risk and reward in a slot game is known as its variance level, and this can be a handy way of determining whether you’ll be lucky at that game. High variance slots tend to be packed with more features, and they often have large prizes or progressive jackpots up for grabs. They suit high stakes players who can spend the time and money waiting for those high paying bonus rounds. Players with a limited bankroll will be better with low or mid-variance slots, which pay out steadily but have lower top prizes. If you want to know how well a game plays and pays, there is no better source of knowledge than the game’s players themselves. Every slot game will have hundreds of online reviews available to read, like Casinopedia’s best online casinos page, you can discover where other people have been winning - and which games have proved unlucky for just about everyone. Reviews and guides usually reveal the expected Return To Player rating for that game. This tells you the theoretical return for a player, over time, based on their bets. A game with a 95% RTP rating will retain 5% of a player’s cash, and pay back 95% of it. Of course, this is based on some pretty long term mathematics: the RTP rate is entirely theoretical, based on thousands of spins. In truth, each individual spin is different and players can win - or lose - large amounts in the short term. Most betting strategies are designed for games with short, fixed odds. There are many strategies for Roulette are based on the almost 50-50 chances of red and black wins, for example. Slot games are far more random, with many different variables, so betting strategies are less effective. 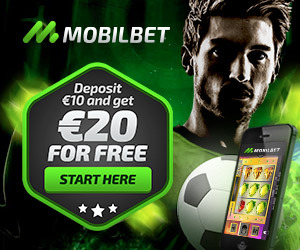 However, there are still some slot strategies online which might have the effect of improving your chances. Some players swear by the One Play system, which involves making a single bet at the maximum value before moving on to a fresh game or machine. This might suit high rollers, but it won’t work for those with a limited budget. Others use the ‘standard deviation’ method, which involves calculating the average time between winning spins and adjusting the bet accordingly. No system can give a guaranteed win, but some can tip the odds slightly. Modern slot games are packed full of features. They are like video games, with high end graphics and fancy animation, and they add to that thrill with big prizes. However, these glitzy slots are often harder to win at tan their classic fruit machine counterparts. Top slot games without all the bells and whistles tend to pay out more often. The prizes might be smaller, but over time they can stack up to leave the player with a comfortable positive balance. If a game has no need to compensate for things like free spins, it can give more back to the player in payouts. Though nothing can guarantee a win at the slots, there are plenty of ways to give yourself the best possible chance. Take the advice above on board, pick your game wisely, and always make sure you play comfortably within your own limits.